What made the original Predator such an amazing film and has doomed the sequels, reboots and now remake? That everyone has lost sight of what made the Schwarzenegger classic what it was and instead focused on other things entirely. The only one that got close to the original was the Robert Rodriguez helmed Predators… and that’s the high water mark of an attempted franchise that has failed every step of the way. Predator was successful because it took a slasher film and made it into an action film. We forget the sort of plot brilliance in the muscles and munition of that film but it’s closer to Halloween than it is to anything Arnold had done previously or since. The difference was instead of teenagers waiting to die it was an elite group of special forces soldiers, thus amping up the carnage and the danger. At its heart Predator is a slasher film and Arnold was in the truest sense of the word a final boy. The Predator, directed by Hawkins (Shane Black) himself, is a mess of a film. When a Predator comes to Earth and is captured, a group of scientists study it. It gets loose and it’s up to a group of mentally damaged soldiers to save the day or something. The reason why it’s “something” is because this is a profoundly flawed film that’s incredibly hard to follow. The victim of a reshot third act, among other things, this is an action film that just isn’t that good. 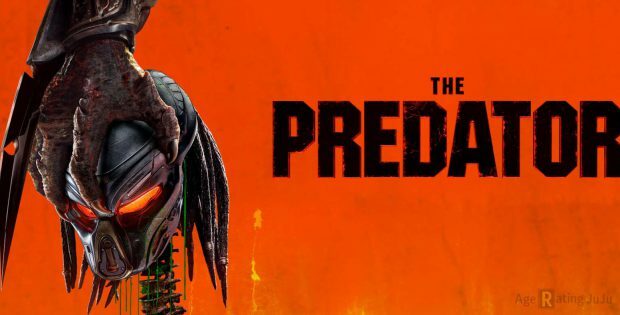 If you’re nostalgic for Predator go and watch that instead. This isn’t worth your time unless you have two hours of your life you don’t need back. A handful of extras but nothing special.